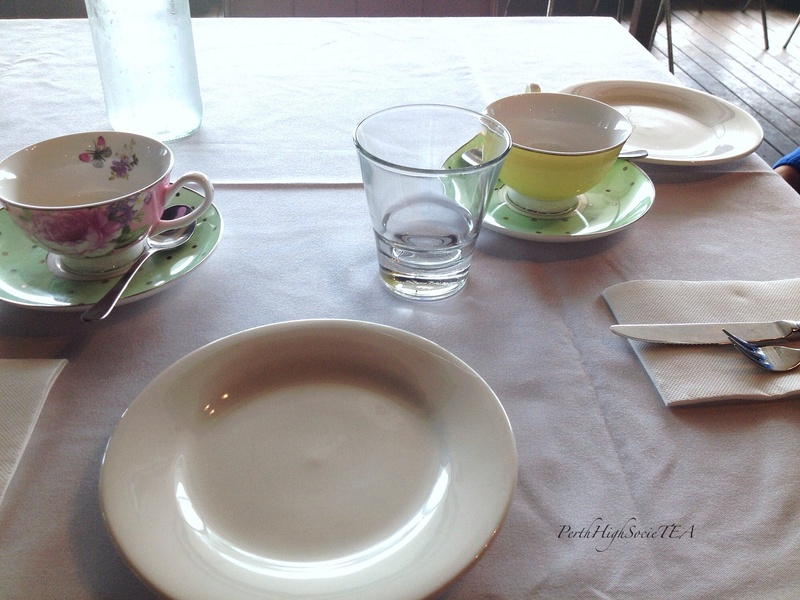 High Tea at The Wild Fig Cafe first came to my attention a few weeks ago when I went there for breakfast with my mother. I wasn’t overly impressed with my breakfast, but I wanted to give their high tea a go, and who am I to turn down a high tea opportunity? 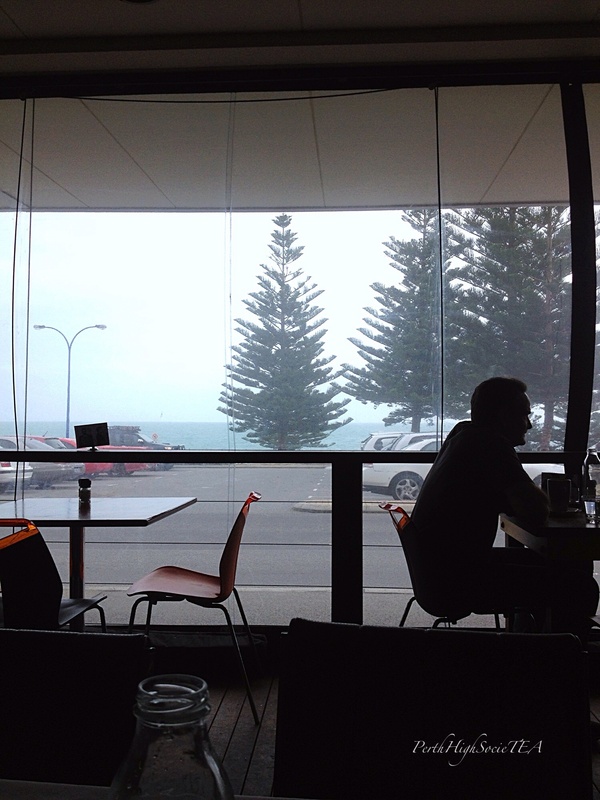 This is the first time that I’ve been to a high tea with ocean views. Fancy hotels- tick, skyscrapers- tick, wineries- tick, river views- tick, and now the beach. The interior design of The Wild Fig is interesting to say the least. It is very artsy and full of cool mismatched items. Our table was simple, with an ocean view. 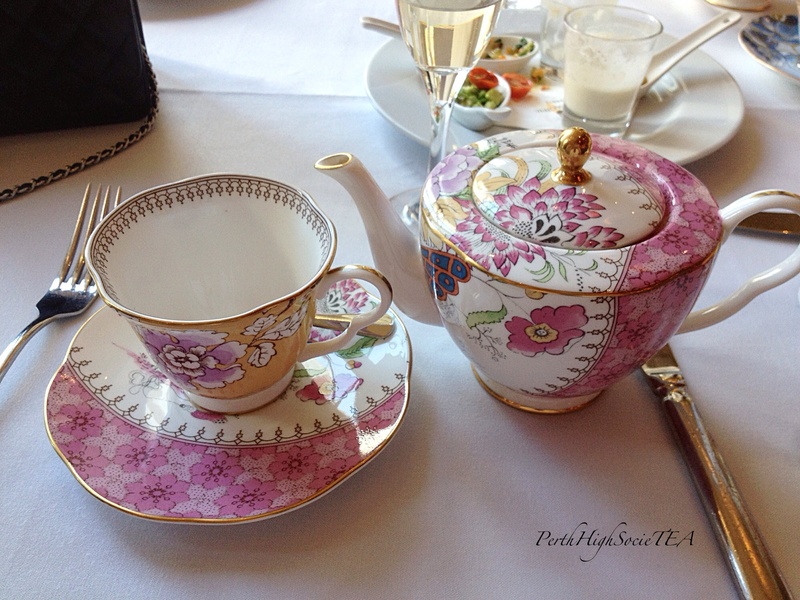 My friend and I received a gorgeous floral teacup each, and the rest of crockery was white. I rang a few days beforehand to make my reservation, and a $40 deposit was required in order to confirm my booking for two people. Our host was lovely. He was organised, prompt and very obliging. 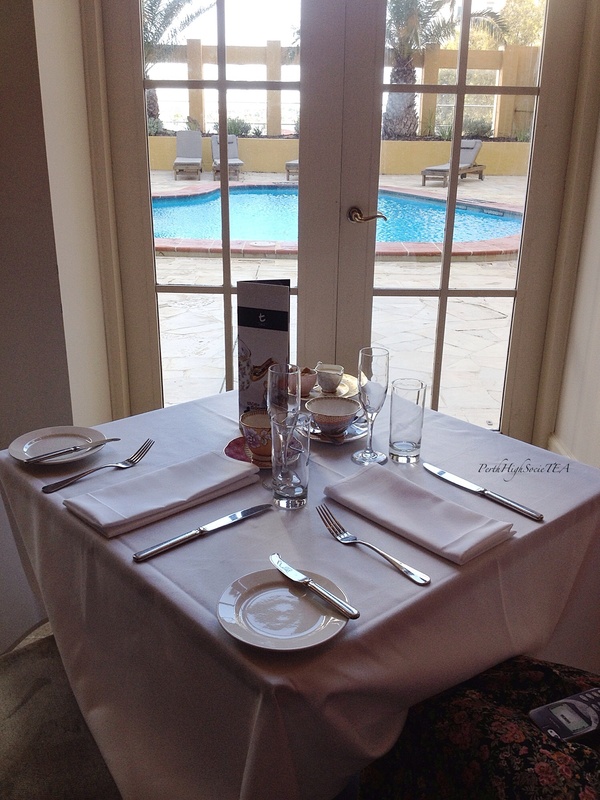 Overall, I was very impressed with the service we received at The Fig. We were offered two pots of tea each during our sitting. My friend elected to try the Japanese pearl green tea (which I don’t think she was overly impressed with), and as always I went with English breakfast. When the savoury food arrived, I wasn’t sure what I had signed up for. In fact, I wasn’t the only one confused. Two ladies came over and asked us what we were eating. 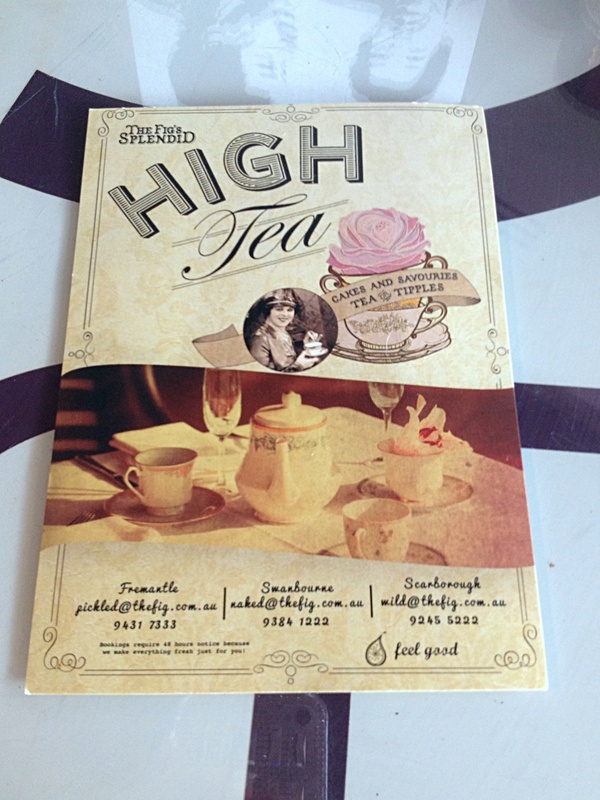 High tea should be fairly obvious. 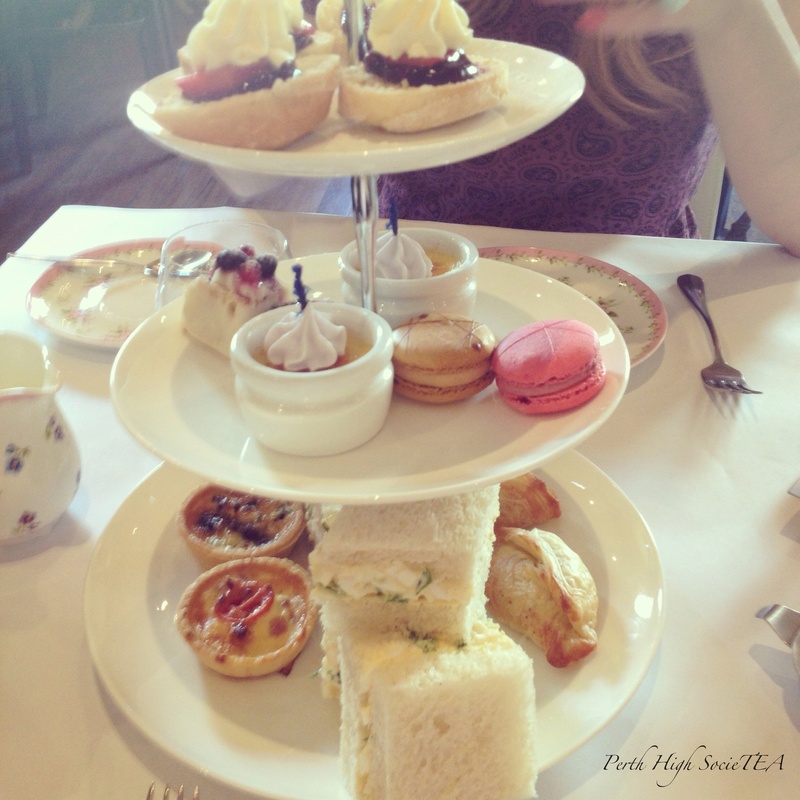 I have never had anyone come over and enquire as to what I was eating at a high tea before. 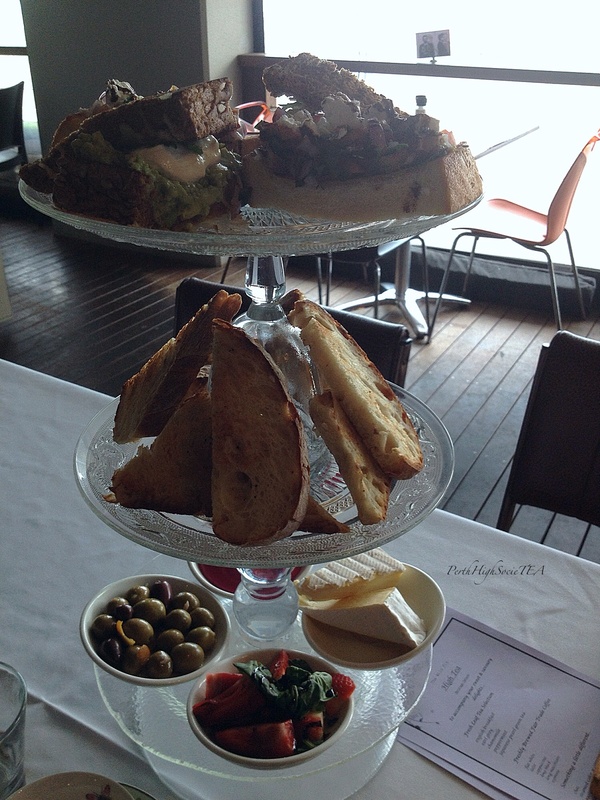 We received a three tier savoury stand with bruschetta on the top tier, ciabatta bread on the middle tier, and balsamic strawberries, Brie cheese, olives and beetroot dip on the bottom tier. I can’t say I was impressed with this. 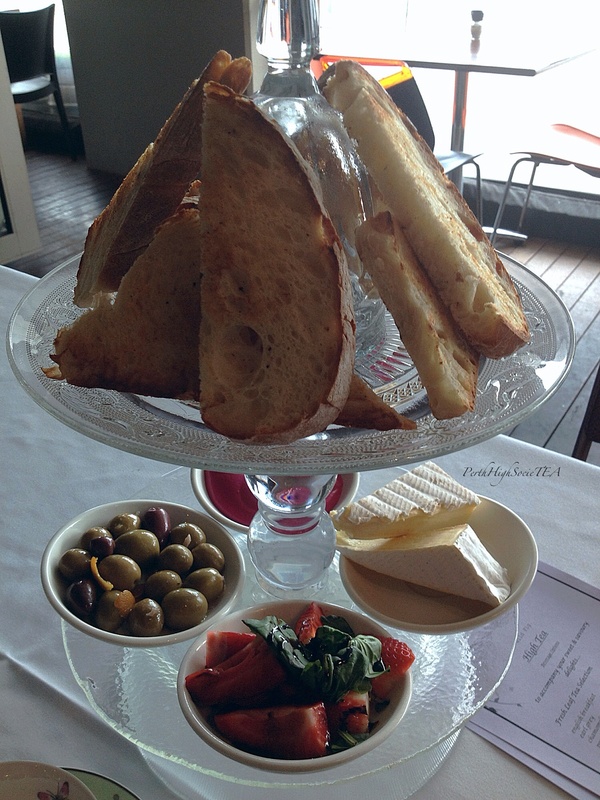 The ciabatta bread was far too big for high tea, and we received two slices each. I would expect ciabatta bread for breakfast, certainly not for high tea. 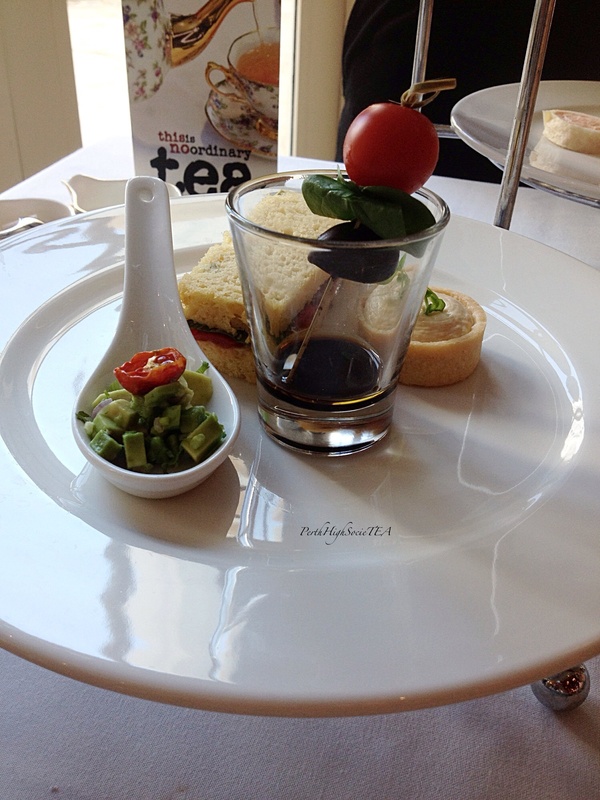 The bruschetta was nice, but again, not appropriate for a high tea. Plus I think they went overboard with the red onion, which left an awful taste in my mouth. No amount or strawberries or english breakfast tea could get rid of the onion taste. My friend and I left the plain scones with clotted cream and strawberry jam till last. 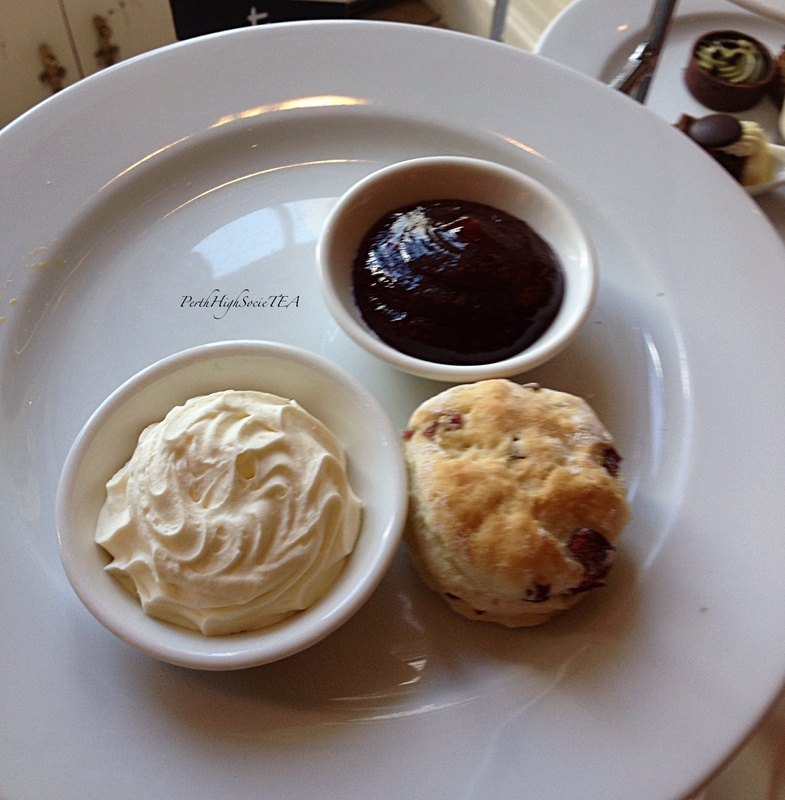 The scones were quite nice, but I was so full I only managed to eat half. There were three options on the sweets tier: lemon meringue tart, which was absolutely delicious, carrot cake, and raspberry and white chocolate cheesecake. 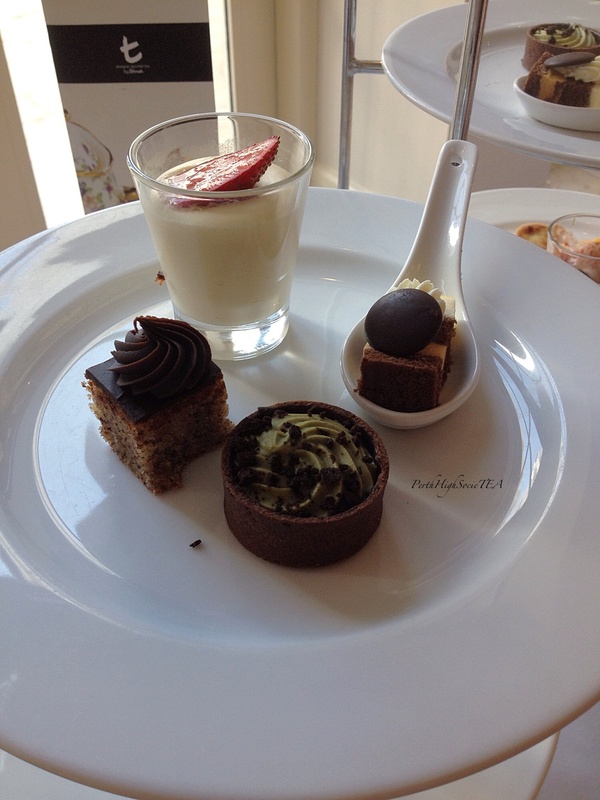 The sweets were cut into large portions, again size is an issue at high tea. It is not a main meal. Big points for location. The ocean views were absolutely beautiful. Overall I can’t say I was overly impressed with the food at The Fig. The service was great, and I loved the 80’s music, however I don’t think they know how to properly execute a traditional high tea. Keep working at it Fig. 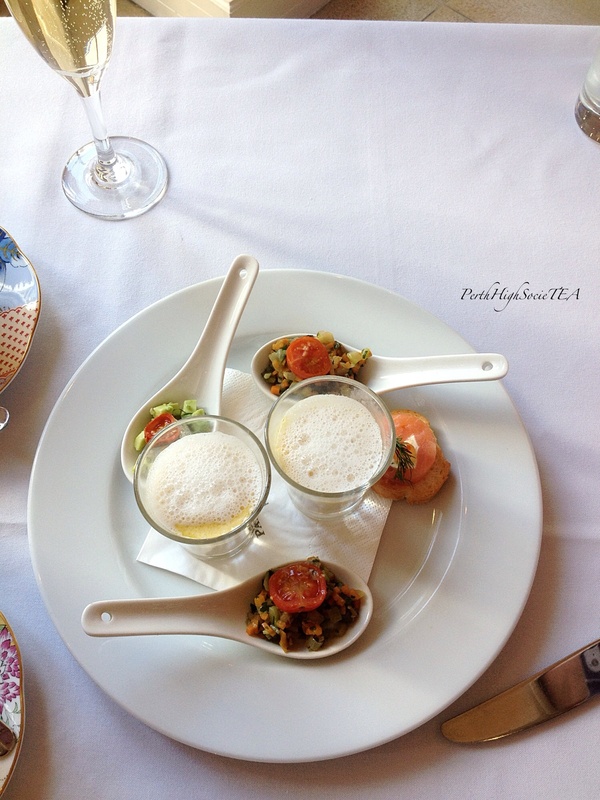 If you’re a fan of tapas and you don’t mind an interesting twist on high tea, then this is the place for you. 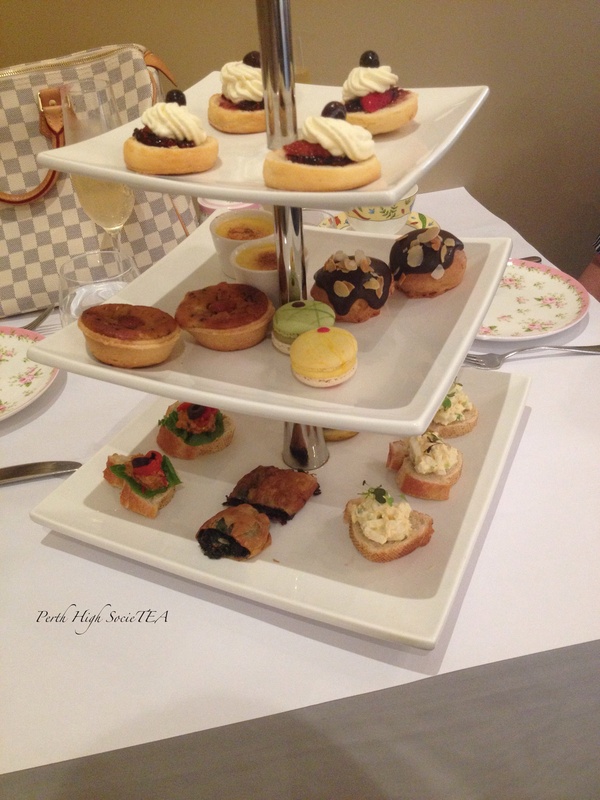 High Tea is served Monday – Thursday, 3pm -6pm and Friday – Sunday, 3:30pm – 6pm. Address: 190 The Esplanade, Scarborough. 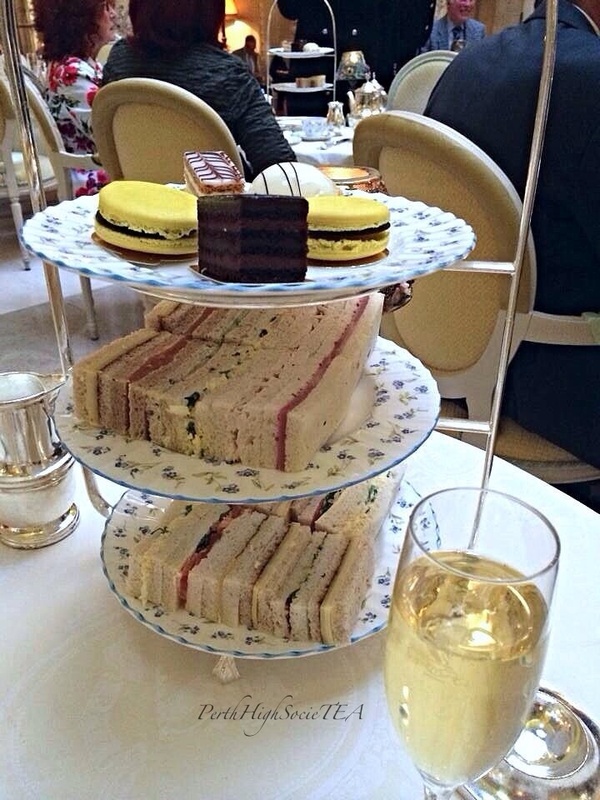 The Ritz Hotel in London is often regarded as the ultimate and finest afternoon tea institution in the world, and is a member of the prestigious Tea Guild. 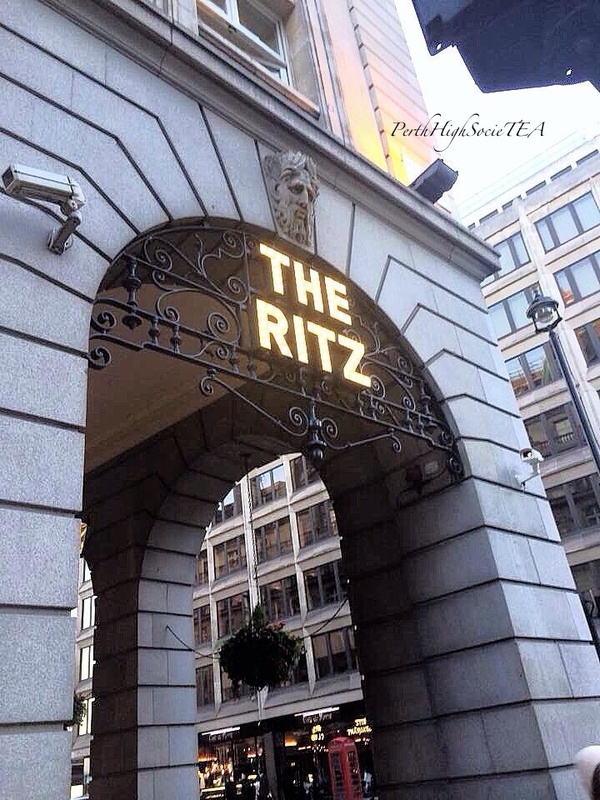 The Ritz Hotel first opened its doors in 1906, and has since been frequented by many celebrities and important public figures. I always envisioned attending The Ritz later in life accompanied by my best friend, however as it turned out, my partner was transferred by his company to work in London for six months, so when the opportunity presented itself I didn’t hesitate to make a reservation. 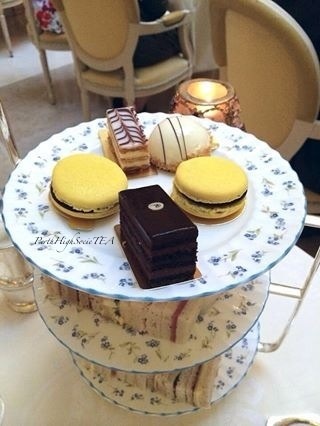 Firstly, I must warn you that if you are wishing to make an afternoon tea reservation at The Ritz, you must book at least 2-3 months in advance. 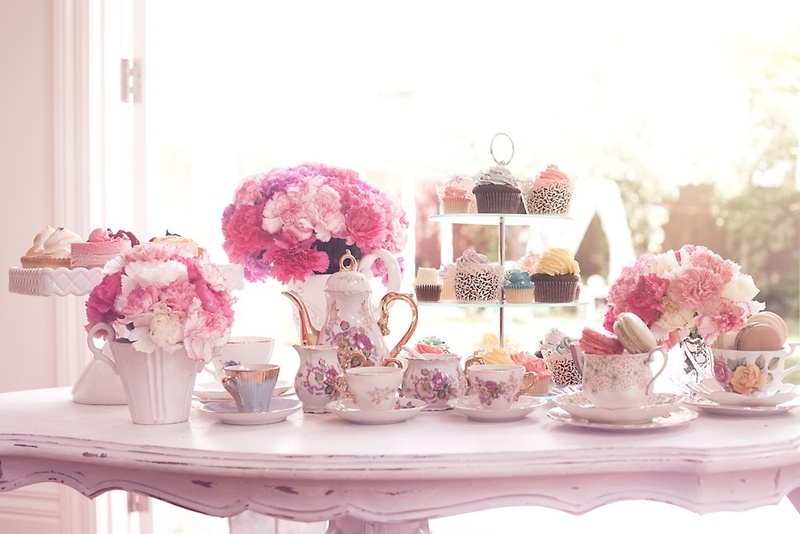 Afternoon tea sittings fill up fast, and it can be rather difficult to get the time and date of your choice. I think it is fair to say that the venue speaks for itself. 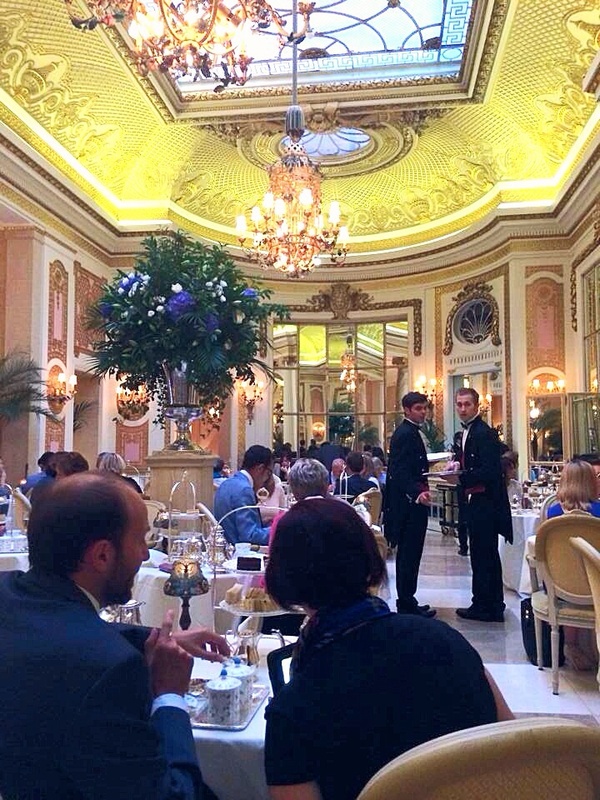 What words can I use to describe the decor of The Ritz Hotel London? Elegant, sophisticated, traditional, regal, stunning, historical, posh, classic and prestigious are the adjectives that come to mind when I think of how to describe this gorgeous establishment. Beautiful high, decorative ceilings, stunning crystal chandeliers, columns made from marble, polished floors and golden touches. The Ritz Hotel London is truly fit for a king. 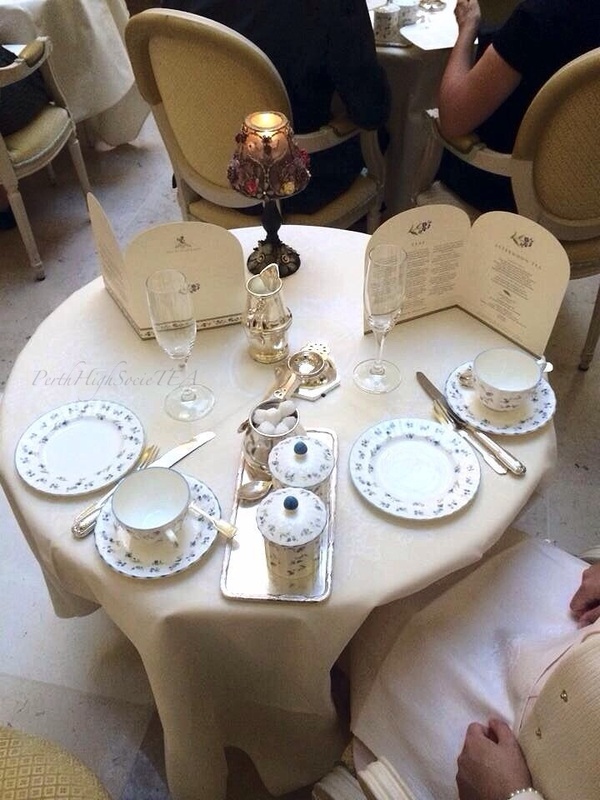 Our table was decorated in a way that you would expect from The Ritz; besutifuk high quality linen, dainty crockery, polished silver and traditional tea ware. Elegant and traditional were the first two words that popped into my mind when I sat down at our table. Unfortunately, for the purposes of an honest review, I cannot continue to discuss how beautiful the venue is. Instead I must move on to what I regard as terrible service. I was very disappointed with the service at The Ritz. Firstly, I felt that service we received was impersonal. My partner remarked that it felt like the waiters didn’t care about us. Unfortunately I have to agree with him. Our tea and coffee arrived 45 minutes after we ordered it, and we had to ask staff multiple times where it was, and when it would be coming. Our scones didn’t arrive until an hour after being seated, and by the time we received them, we didn’t feel like eating them anyway. Lastly, when my partner eventually received the coffee he ordered, the handle of the mug was far too hot to touch, and therefore he was unable to drink it. He was quite upset about this because not only had he waited 45 minutes for it, but he was thirsty and needed a drink. Once again, he waited about 20 minutes for the cup to cool down. When it still hadn’t cooled down, I managed to flag down a waiter. I asked the waiter if there was anything he could do for my partner because the cup was too hot to handle. The waiter’s reply to me was very condescending; as he then picked up the cup, looked at my partner and said “there is nothing I can do, maybe you need to wait for it to cool down?” My poor partner then asked for a glass of water instead, before the waiter simply just walked off. We had very minimal interaction with the waiters. 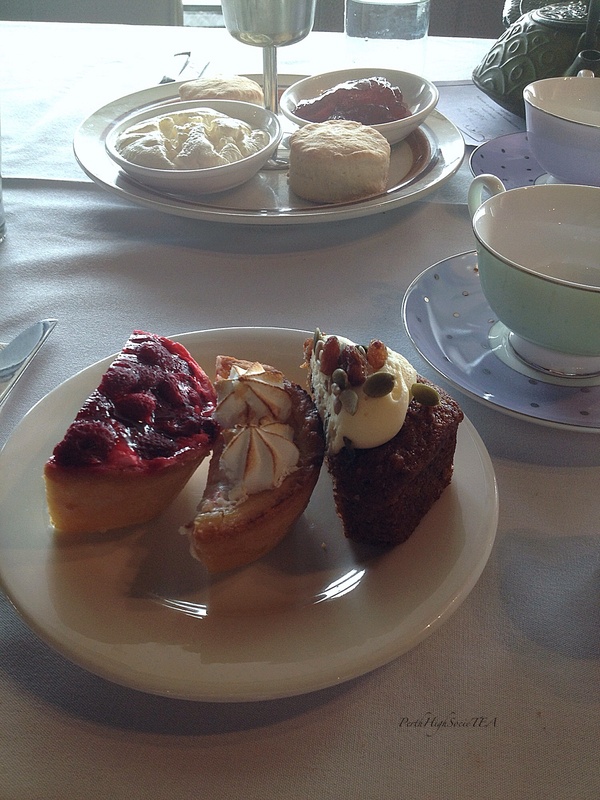 One of the waiters explained the selection of food on the three-tier stand to us, and another waiter poured my tea. For a prestigious establishment such as The Ritz, I would have expected a very high quality of service. I am pleased to report that the food was delicious. For drinks, we had a glass of champagne each. From the tea menu, I selected The Ritz Royal Blend, while my partner ordered a latte. I thoroughly enjoyed my tea, and I highly recommend it. 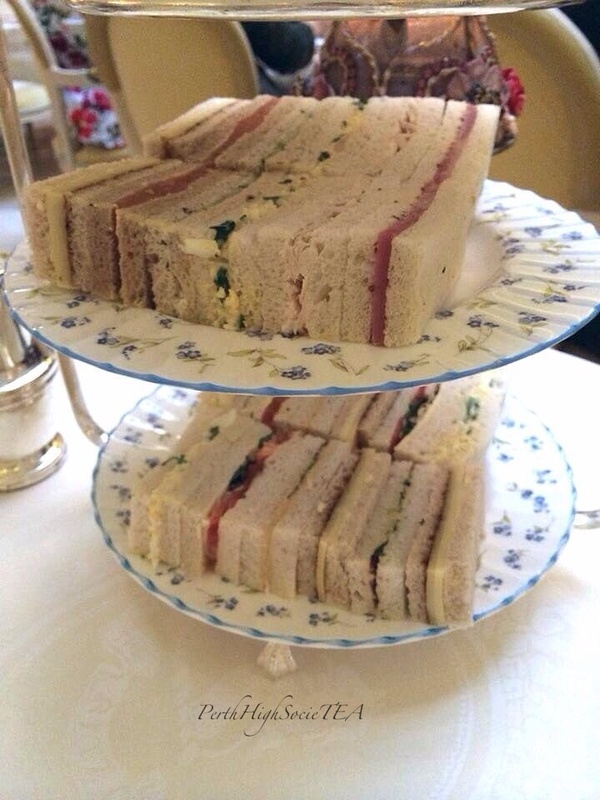 The finger sandwiches were tasty and the bread was fresh. There were also different varieties of bread on offer; including white, rye onion and caraway. My vegetarian fillings included: cheddar cheese and tomato, cheddar cheese and chutney, egg mayonnaise, hommus, and tomato and salad. My partner’s selection included: ham with grain mustard mayonnaise, egg mayonnaise, cucumber with cream cheese, Scottish smoked salmon with lemon butter, and chicken breast with horseradish cream. We received an ample amount of sandwiches (12 each!). A waiter also came around to offer us some more. I think they should offer guests a different savoury option, such as a quiche or a tart. Otherwise people fill up too quickly on bread. The scones were the last to arrive, and I am happy to report that they were well worth the wait. They were warm and fresh, and light and fluffy. The clotted cream and strawberry jam were the perfect accompaniment to what I now regard as the best scones that I have ever tasted. salted caramel macarons. My favourite was the vanilla slice, however that passion fruit and coconut tart was simple incredible! Last but not least, at the end of the sitting, a waiter with a cart went around to each table and offered a choice of two cakes. Unfortunately I cannot remember the first option, but I chose the second option which was a slice of lemon drizzle cake. 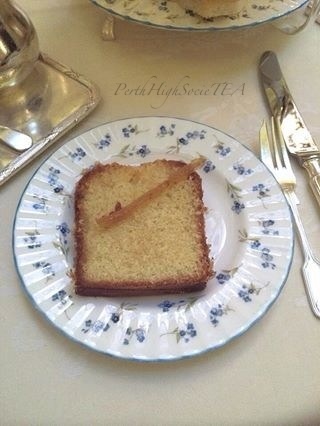 It was a lovely moist cake with a nice hit of lemon zest. 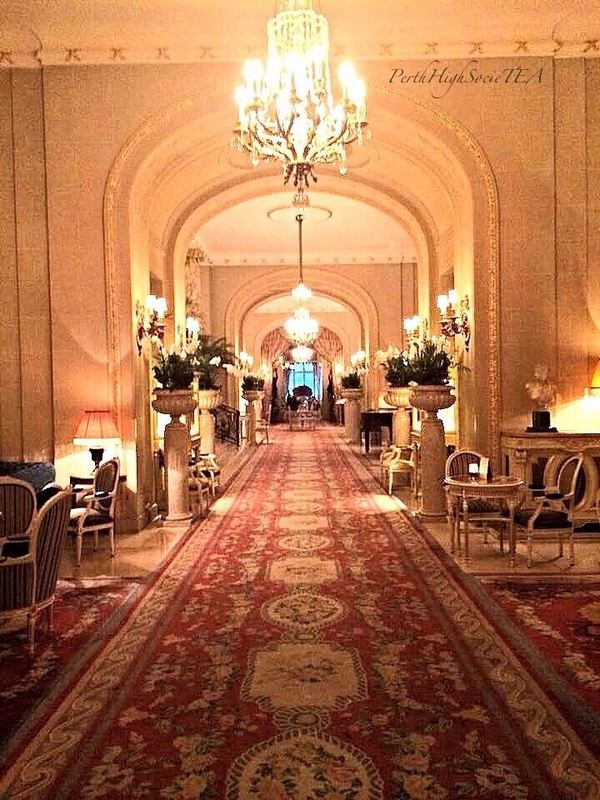 The ambience of The Ritz hotel was wonderful. 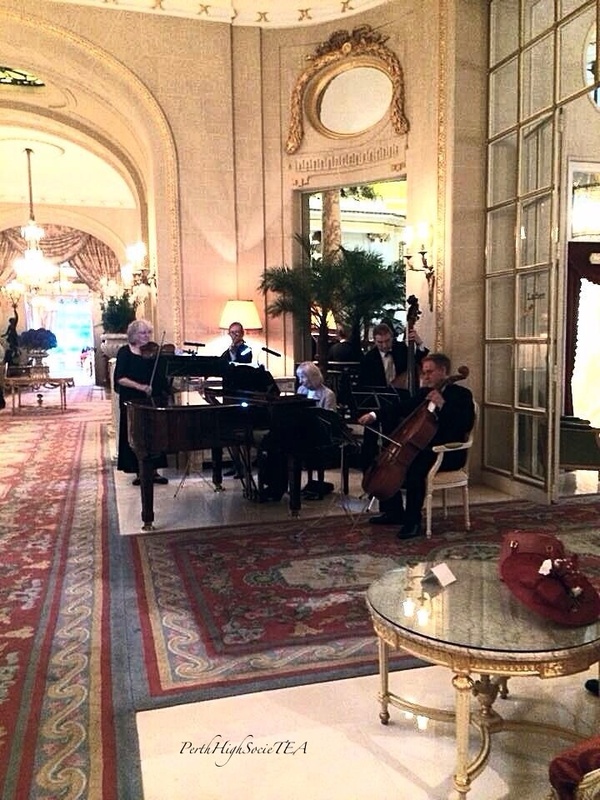 The sounds of the pianist and the string quartet filled the room and added to the posh image projected by the hotel. When I looked around, I noticed that everyone was wearing their finest garments; men in their suits and ties, and ladies in their gorgeous frocks. 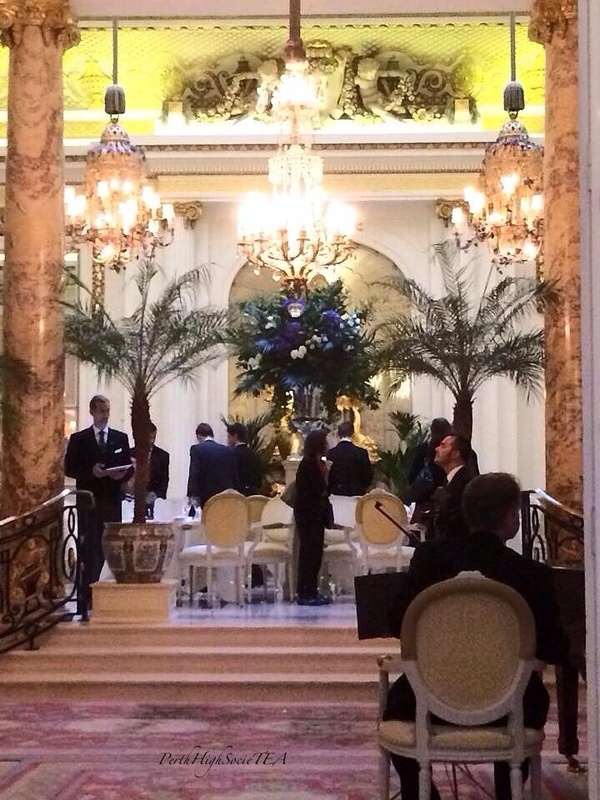 Overall, I was impressed with the absolutely stunning venue, and the quality and taste of the food, however the service was lacklustre, and I feel that this is just totally unacceptable for The Ritz. Despite my poor experience with the service, I still recommend making a reservation if you are determined to have The Ritz experience. However, I don’t think The Eitz even comes close to making the cut for the number one afternoon tea venue in the world. 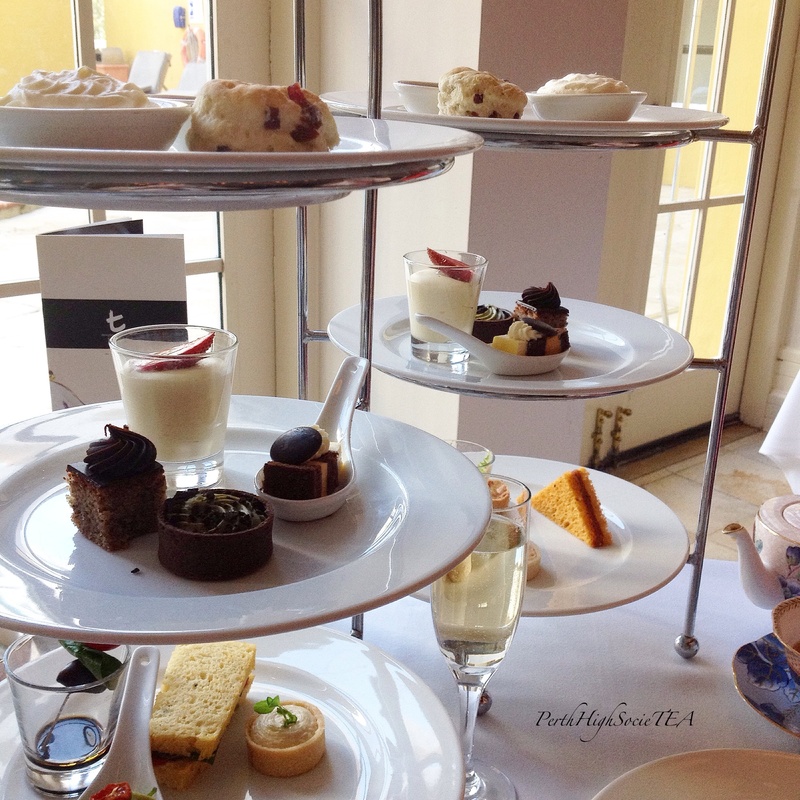 As I previously mentioned in my most recent review of The Royal Horseguards hotel, service is imperative in hospitality and can have a profound impact on one’s afternoon tea experience. I feel that The Ritz needs to work on this. 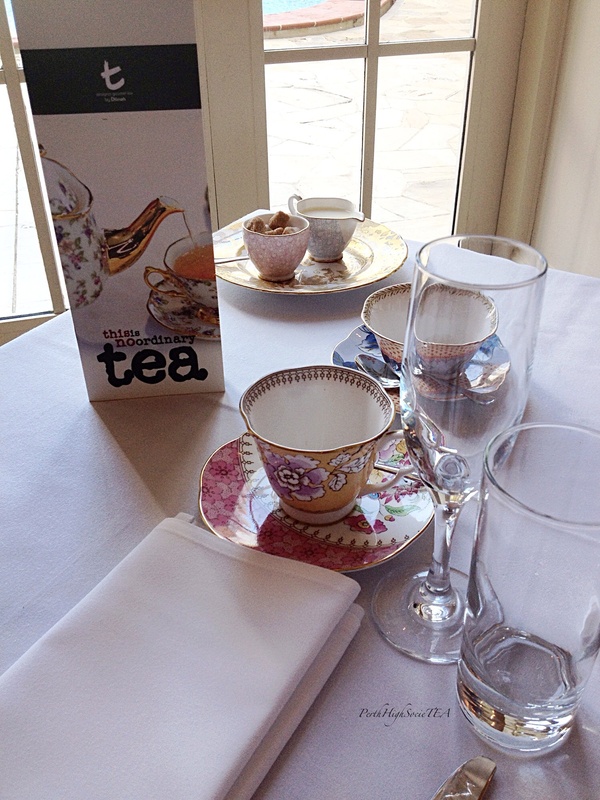 Afternoon Tea is served daily, with sittings at 11:30am, 1:30pm, 3:30pm, 5:30pm and 7:30pm. Please note that there is a discretionary charge of 12.5% that is added to the bill. Please note that there is also a strict dress code. 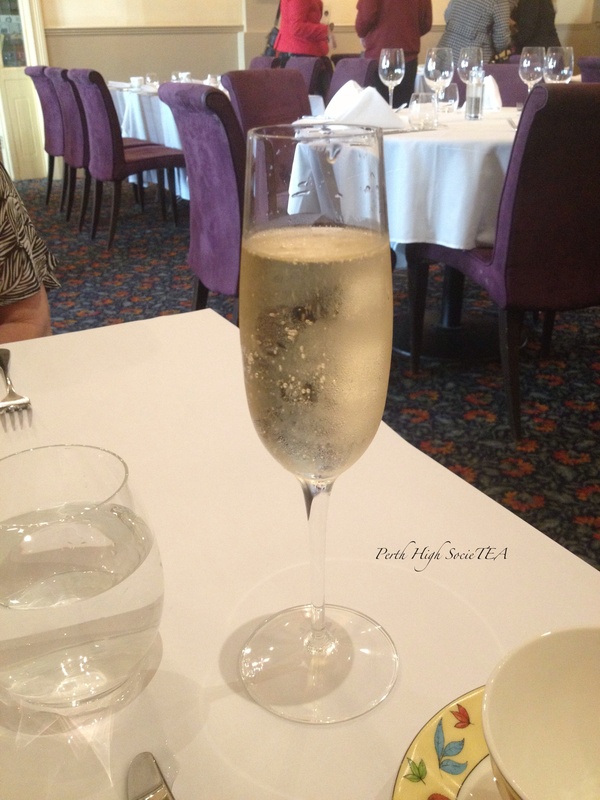 On Sunday I took my mother to The Melbourne Hotel in the heart of the Perth CBD. 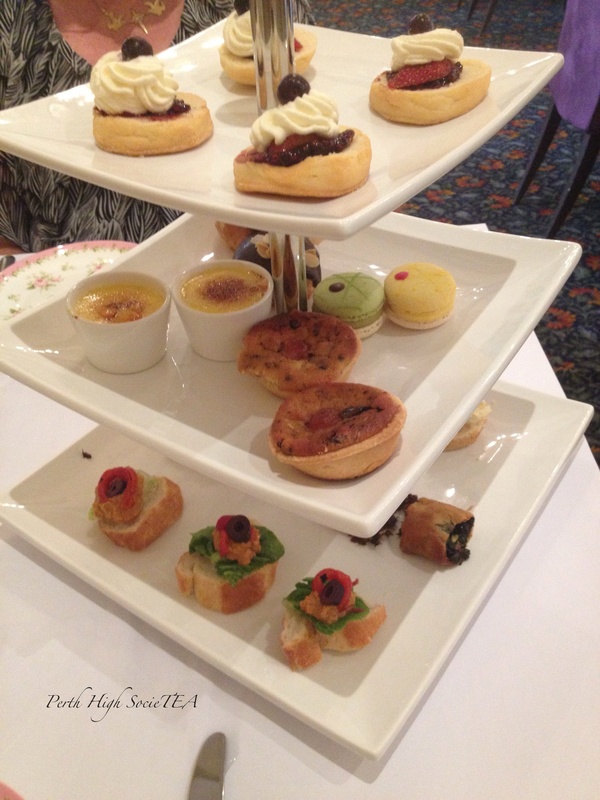 This was my second high tea experience at The Melbourne Hotel, and after being so impressed the first time I thought it would be lovely to take my mum there on Mother’s Day. 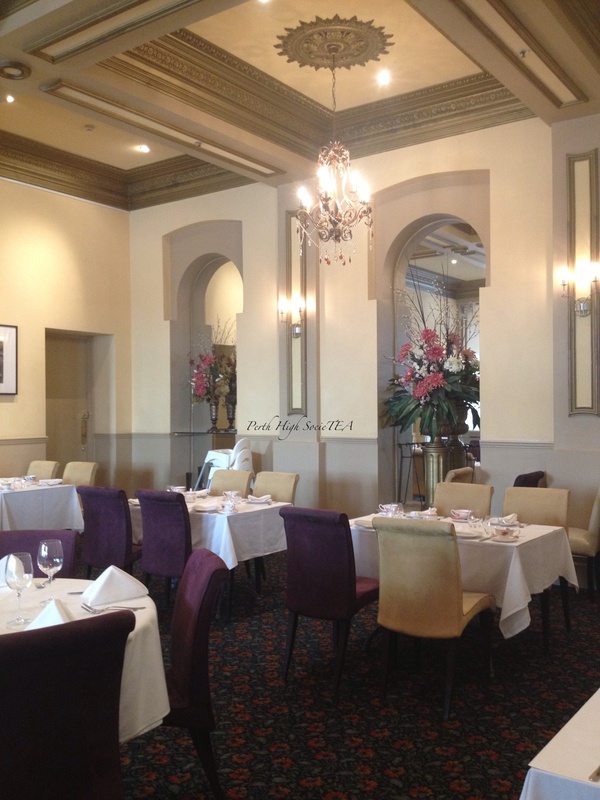 My grandfather used to frequent The Melbourne Hotel quite often in the early 1980’s so it was an extra special experience for my mother. Located on the corner of Hay Street and Milligan Street in Perth, The Melbourne Hotel is one of Perth’s oldest and most iconic hotels. From the outside, the hotel has a lovely heritage appeal, and the decor inside the restaurant is simple, yet elegant, and includes arched mirrors, decorative ceilings, and chandeliers. The table settings were decorated in a very simple manner. 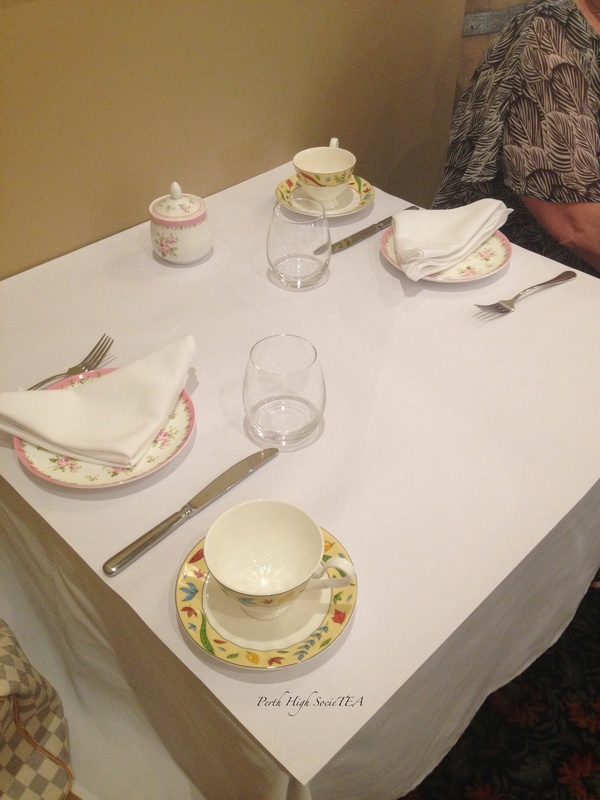 White table cloths and floral pattern tea ware. 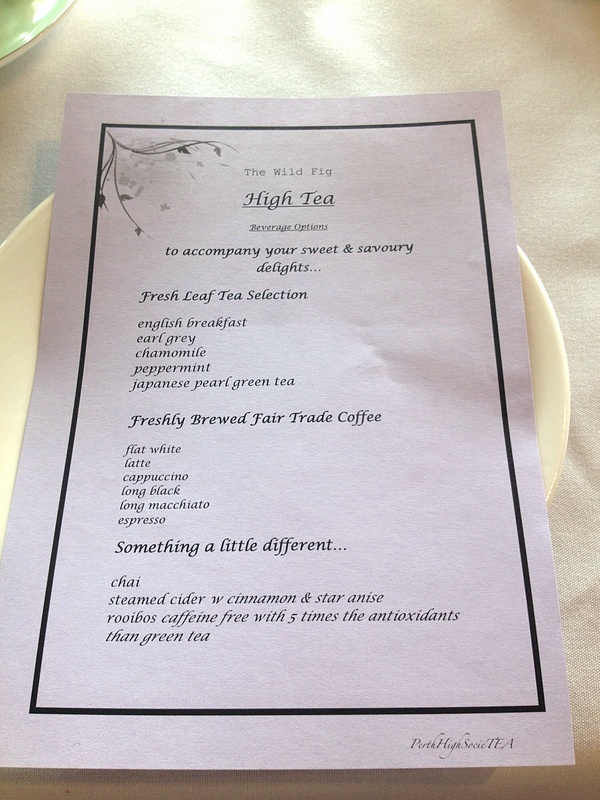 Nothing out of the ordinary for a hotel high tea. As soon as we were seated, two glasses of sparking wine arrived, and two minutes later the food arrived. It wasn’t until about 30 minutes into the sitting that were actually offered a choice of tea or coffee. I would have preferred to have been offered tea before the food arrived, which is what normally happens. The wait staff appeared to be rushed off their feet, and I think they may have been slightly unprepared, because none of the tables had teaspoons on them! Having said that, the staff were very pleasant and quite obliging. The only problem I encountered was that one particular staff member wasn’t very fluent in English which made communication difficult. I have to say that unfortunately this time around the food wasn’t as good as my first experience at The Melbourne Hotel. I think the this time the food was more contemporary, where as last time it was quite traditional. 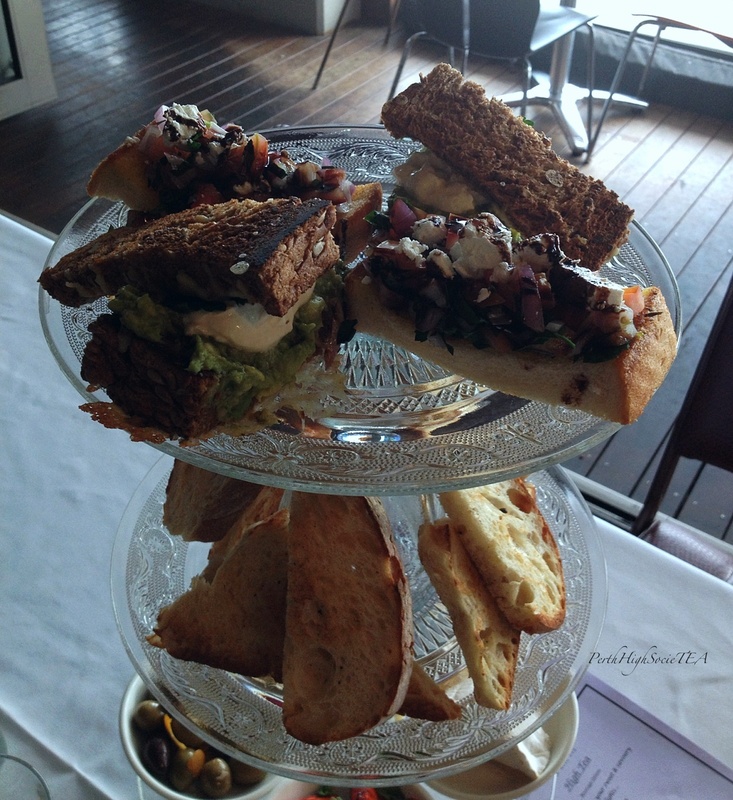 Instead of finger sandwiches, we received open sandwiches with the fillings on top of the bread. The varieties included traditional egg and sun dried tomato, red capsicum and olive. Both fillings were quite enjoyable, and the bread was fresh with a light crunch. Also on the savoury tier were two petite pastries with a mushroom filling. I personally didn’t enjoy mine, however my mother said that she enjoyed hers. The scones were on the top tier and were similar to the scones from the first experience in that they included a slice of strawberry between the raspberry preserve and the clotted cream. I think it looks quite creative and visually appealing, however if you’re not into strawberries you probably won’t appreciate it. 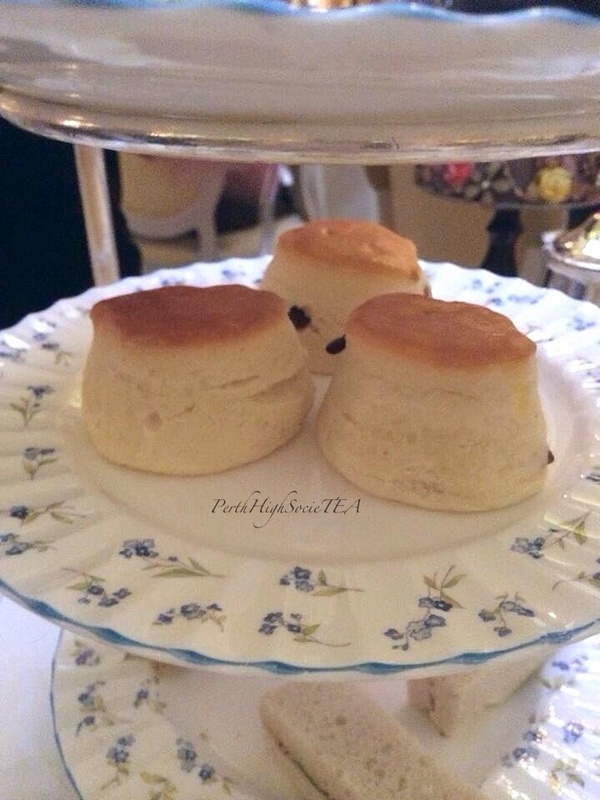 The scone itself tasted artificial and had more of a cake like texture. I would have preferred a fresh and more traditional scone. Sometimes less is more. The sweets tier was certainly a highlight. We had two macarons, one lemon and the other chocolate and pistachio, two delicious profiteroles covered in decadent Belgian chocolate, and two creme brûlées. There were also two pies, which at first glance we thought were savoury quiche. My mother and I didn’t enjoy these at all. My mother described it as a Christmas pie/tart, and to me it tasted like a fruit mince pie infused with cheese. It was strange and I don’t think it belong on the plate. 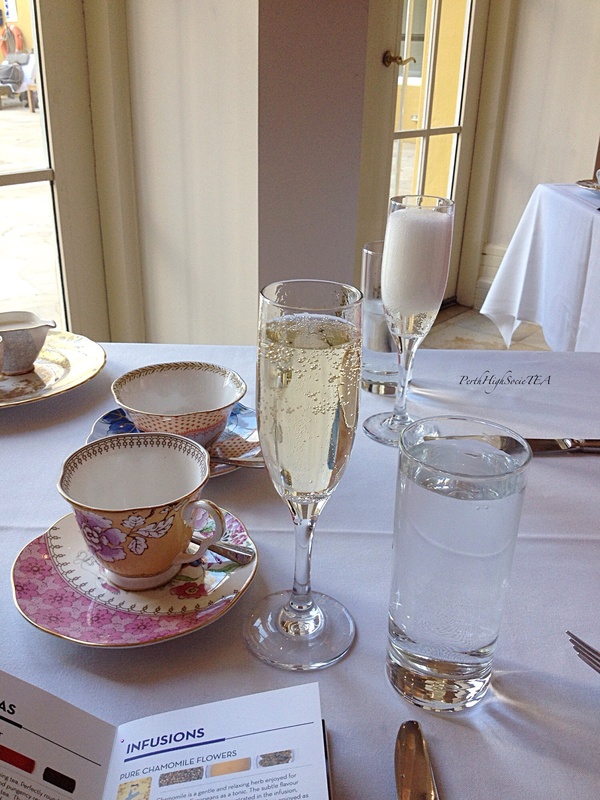 For drinks, we both had the sparkling wine which had a pleasant sweetness to it, and for tea we had our usual English Breakfast. Regardless of my seemingly negative experience, I would still recommend The Melbourne Hotel because I know from the first experience that this place can in fact execute a really delightful high tea. It was obvious that the wait staff were struggling under pressure, but it was Mother’s Day after all. 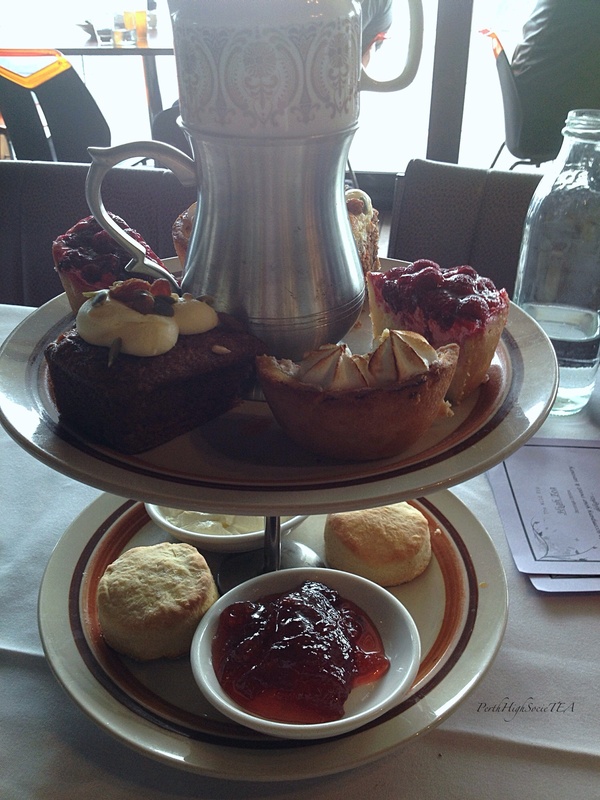 High Tea is served on Saturday and Sunday between 1pm – 4pm. Address: 942 Hay Street (Corner Milligan Street), Perth.